Guildford, UK – April 17, 2017 – Imagineer Systems, a division of Boris FX will showcase MochaVR, a groundbreaking new 360°/VR post-production plug-in at NAB 2017 in Las Vegas, NV, April 24-27. Based on Imagineer’s Academy Award-winning planar tracking technology, Mocha VR is the first plug-in to bring native 360° optimized planar tracking, masking, object removal, and horizon stabilization tools to Adobe® Premiere Pro® CC and Adobe After Effects® CC, both part of Adobe Creative Cloud®. “We use Mocha VR and After Effects on every project. We always have moving shots crossing seam lines that need to be fixed,” states Judith Samper, VR Post Production Specialist, Koncept VR. “There is no better way to do it.” Koncept VR uses Mocha VR to complement their Adobe Creative Cloud workflows. To make a press appointment at NAB, or to schedule interview with any of the artists quoted above, contact Jessie Electa Petrov, Director of Marketing, jessiep@borisfx.com. Attendees visiting NAB will have the opportunity to see Mocha VR at the Boris FX booth #SL6824 located in South Hall. NAB visitors can also attend a special Mocha VR Post Production World training presentation on Tuesday, April 25 at 11am and see Mocha VR in the VR Zone on Monday-Weds, April 25-27th at 2pm at Jolly Good’s Booth #N1317VR. For more information, visit borisfx.com. 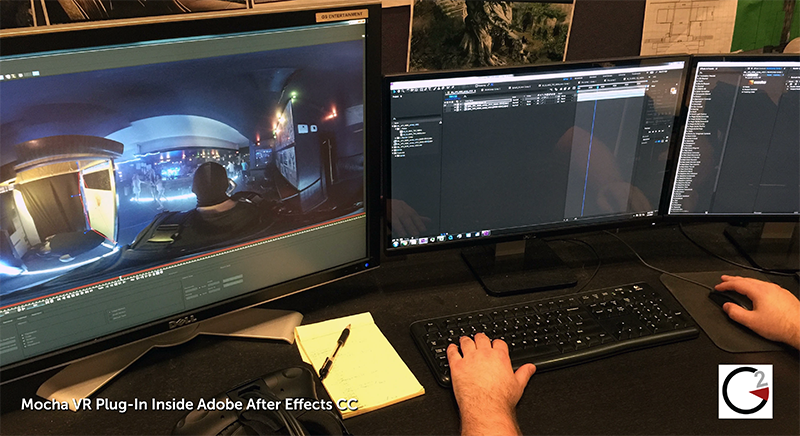 At NAB 2017, a sweeping update in Adobe Creative Cloud for video will be available to help filmmakers and video producers collaborate and streamline video workflows. The Creative Cloud release delivers new features for graphics and titling, animation, polishing audio and sharing assets; support for the latest video formats, such as HDR, VR, and 4K; new integrations with Adobe Stock; and advanced artificial intelligence capabilities powered by Adobe Sensei. Announced at Adobe Summit 2017, Adobe Experience Cloud also allows brands to deliver connected video experiences across any screen at massive scale, while analyzing performance and monetizing ads. Attendees at this year’s NAB can get a closer look at the newly available features at the Adobe booth (#SL4010, South Hall in the Las Vegas Convention Center). For more information, visit www.adobe.com.